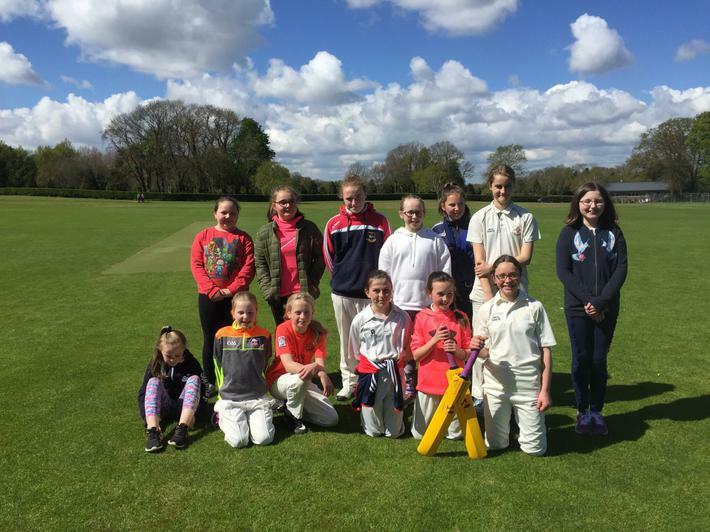 Well done to the Girl's Cricket team that traveled to Malahide on Monday to play St. Andrew's. In a very sporting game St. Andrew's came out on top. All the players got to bat for 3 overs and anyone who wanted to bowl was able to. A few players tried out the game for the first time as well. So a great day. The Girls Junior Gaelic team played their final group match on Tuesday. In a cracking game between the teams Gael Scoil Baile Brigin came out on top by 2 points. This is the end of the group stage for the girls. It was a year of many firsts: our first year fielding a girls team, a first time playing Gaelic football for many girls and our first win. Well done girls and thanks to Mr McGuinness for all his hard work running the team. Well done to the Boys Cricket Team on their second Super League victory today. The game took place in Margaretstown Cricket Club (MCG) and the opposition were St. Oliver Plunkett's Malahide. This was a real case of David vs Goliath in terms of schools. The opposition has over 900 students, while Milverton has only 93 pupils.